× 4 = twelve Required Please enter the correct value. 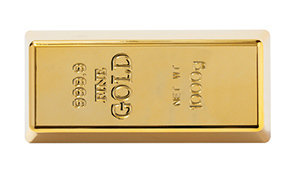 Now more than ever, it's time to consider our pick for the best gold stock to buy right now. You see, Money Morning Resource Specialist Peter Krauth expects gold prices to gain 15.4% from their current $1,213 level to $1,400 an ounce this year. This rise will lead to an even bigger rally for gold stocks. Since the beginning of 2017, gold prices are up 5.1%. But the gains in gold stocks like Agnico Eagle Mines Ltd. (NYSE: AEM) and Compania de Minas Buenaventura SAA (NYSE ADR: BVN) have doubled and quadrupled the year-to-date gold price return. But there's an even better gold stock to buy right now. While other gold stocks have seen short-term rallies in just the first month of 2017, our recommendation is poised for long-term gains. This gold stock – courtesy of Money Morning Executive Editor Bill Patalon – has already climbed nearly 17% in 2017 and will continue outpacing gold throughout the year. That's because this company stands to benefit from increasing its already massive gold output. This firm is already one of the largest producers of gold in the world, mining nearly 4 million ounces in 2015. It also boasts more than 10 gold mines around the world, including six just in South America alone. Inflation will give gold prices a big push higher in 2017. That's because the annual inflation rate will rise due to the 10-year Treasury and surging Dow Jones Industrial Average. The inflation rate tracks how much the cost of goods and services across the whole economy are increasing. Since a rising stock market comes from rising stock prices, inflation is a fundamental result of a market rally. The bad thing is that explosive market growth lowers the U.S. dollar's purchasing power, which lowers spending and hurts the economy. The U.S. Federal Reserve typically raises interest rates to keep inflation and the dollar under control. In December 2016, the Fed bumped interest rates up by 0.25% to counter the strong economic growth and record-high Dow Jones. When the Fed raised rates on Wednesday, Dec. 14, both the Dow Jones and S&P 500 settled near all-time highs of 19,792.53 and 2,253.28, respectively. And the Dow Jones crossed the 20,000 mark for the first time ever on Wednesday, Jan. 25. All of this has also sent bond yields soaring. The Dow Jones' 10.2% rise during the last six months of 2016 pushed the 10-year Treasury yield up 67.8% to 2.45%. Higher bond yields usually point to higher inflation, and the latest December data places the inflation rate at a 30-month high of 2.1%. That's more than double the short-term interest rate of 0.71%. Since safe havens like gold rise in demand when the dollar is volatile, gold prices will rise as people protect themselves. This will coincide with a similar spike in demand for gold stocks. Another factor fueling our gold stock pick this year is the falling volume of gold short bets. A short bet is when someone invests in a stock or commodity's decline rather than rise. When a stock or commodity has a lot of short positions, it indicates bearish sentiment for that particular stock or commodity. But the volume of shorts on gold stocks has been falling since November. One of these is NovaGold Resources Inc. (NYSEMKT: NG), a gold mining company based in Canada. The latest data shows that the number of short positions in NovaGold stock fell 3.8% from 13 million to 12.5 million between November 2016 and December 2016. Since gold prices have gained 7.2% from their Dec. 15 bottom, there's no doubt that sentiment has grown more bullish and the volume of gold shorts has continued falling. Growing bullish sentiment for gold prices is also demonstrated in short-based indices. One of the biggest of these indices is the Gold Bugs Short Index (HUISH). It tracks short-selling behavior in gold mining companies that don't cut gold output based on prices. HUISH is currently down 12.2% year to date. That decline shows how gold stock shorts are dropping alongside gold price shorts. The price of gold and the dollar are usually viewed as having an inverse relationship. When one goes up, the other goes down. This notion held up in Q4 2016 when the Fed rate hike pushed the dollar to an all-time high on Dec. 20. That pulled gold prices 12.8% lower over the course of the quarter. Interest rates were above 5% for most of the 1970s. When Arthur Burns served as chairman of the Federal Reserve in 1974, he raised rates to a record high of 13%. In 1979, the new Fed Chairman Paul Volcker hiked them to another record high of 15.5%. While the common notion is that this would've destroyed gold prices, they actually soared through this decade. Gold was 24 times more expensive at the start of the 1980s than it was at the start of the 1970s. "Through all of this, gold enjoyed a kind of 'Golden Age,'" Money Morning Resource Specialist Peter Krauth said on Jan. 12. "That was a bull market of epic proportions – the mother of and benchmark for all secular metals bulls." That's why Krauth doesn't expect a rising dollar to lower the price of gold over the long term. The dollar's momentum from the December rate hike will eventually wear off, allowing the gold price to profit from its decline. And rising gold prices in 2017 will give our gold stock recommendation a double-digit gain. I have owned GOLDCORP in the past and do consider it a solid and reliable well run company, but its 2016 track record has not been nearly as impressive as numerous smaller and cheaper companies with equal or even lower per oz. production costs. For speculators who believe a Trump presidency will be good for precious metals a better pick might be Northern Dynasty NDM with a potential 39M oz, production potential which has been moving up in price steadily since the election. Another near production high grade gold mine in the Golden Triangle of B.C. could also be a great pick. Thanks for the insightful post. We do like GG, as a stock that affords us the returns of gold but at a risk level that's perhaps a bit lower than the smaller firms you cited. If, on the other hand, "max gains" are your objective, check out our reports on the "Gold Anomaly." They will really open your eyes. Thanks, again, for your kind words and enlightened contributions. Folks like you prove, over and over, that we have a very smart, and very special group of subscribers here at Money Map Press. Would you recomend some russian pressous metal mining stocks?Looks like Russia is dooing good after sanctions, and many investors coming back. Look like up to serten degree safe?